Big changes are coming to avalanche education! After much anticipation, the long awaited professional – recreational split has arrived. The main outcome has been the creation of a professional track for advanced level avalanche courses. However, recreational backcountry skiers and snowboarders will find the new recreational curriculum to be more engaging and applicable as well. If you are considering taking an avalanche course, then read on! Often, recreational backcountry enthusiasts and aspiring avalanche professionals have very different goals that require different skill sets. Aspiring avalanche professionals are commonly interested in the science of avalanche formation and release, snowpack metamorphism, and meteorology. It’s important that avalanche professionals have very well developed observational techniques and recording methodologies that reflect industry standards. These skills sets serve the professional well when forecasting, tracking, and managing avalanche hazard in the context of an operation. Recreational skiers and snowboarders can also benefit from a deeper understanding of the avalanche phenomenon and observational techniques. However, these skills are applied very differently in a recreational setting. Often, recreational students are much more interested in tracking the spatial variability of the avalanche problems, and mitigating the hazard via terrain management and small group decision making. Basically, folks want to go backcountry skiing & riding, just more safely. The American Avalanche Association (AAA) is the organization in the United States that connects, engages with, and shares information amongst avalanche professionals from all segments of the industry and across all regions of the country. With input from industry and avalanche educators, the AAA created new standards that reflect the split in recreational and professional avalanche education. Organizations like the American Institute for Avalanche Research and Education (AIARE) use these standards to create curriculum and courses that can be distributed amongst a network of course providers and avalanche instructors. The AAA has produced a useful flow chart that outlines the new framework for avalanche education in the United States. The goals of the new framework are to improve the quality of education for both professional and recreational students, maintain affordability for both user groups, and create common standards recognized by course providers, employers, and the public. So where does one begin? As always, we encourage anyone who is interested in the backcountry to attend an avalanche awareness clinic. However, the AIARE Level 1 avalanche course is more appropriate for skiers and snowboarders who are planning on regular backcountry travel. The avalanche awareness clinic is not a pre-requisite for the AIARE Level 1. The good news is that the AIARE Level 1 avalanche course remains unchanged. Everyone will still begin with the AIARE Level 1 regardless of whether they are recreational students, or aspiring professionals. Students who choose to continue their avalanche education beyond the AIARE Level 1 will need to decide whether they are recreational backcountry travelers, or wanting to pursue a career as a ski or avalanche professional. Recreational skiers and snowboarders who are interested in advanced avalanche education should consider the new AIARE Level 2 avalanche course. The AIARE Level 2 is now 3 days instead of 4. Avalanche Rescue has been removed from the curriculum and is now a stand-alone course. The AIARE Avalanche Rescue course is a pre-requisite for the new AIARE Level 2, so in effect, completion of the level 2 still requires 4 days of training. The new AIARE Avalanche Rescue Course can be taken independently of the AIARE Level 2, however Baker Mountain Guides and many other providers will offer the Avalanche Rescue Course immediately preceding the Level 2. At Baker Mountain Guides, we offer a discount on Avalanche Rescue if you take both courses together. The new AIARE Avalanche Rescue Course will allow for a full day of advanced companion rescue training, and include many opportunities to practice multiple burial search techniques. Additionally, the recreational level 2 curriculum focuses less on standardized observations and recording methods. This frees up more time for touring, informal observations, and group decision making. The goal is to improve student’s evaluation of critical avalanche hazard assessment factors. The recreational curriculum ends with completion of the AIARE Level 2. Professional level courses will be run directly through AIARE and other AAA approved providers. Students will begin their professional avalanche education with the Professional Avalanche Training 1 course. The AIARE Level 1 and the AIARE Avalanche Rescue Courses are pre-requisites for the Pro 1. The Pro 1 is designed for entry-level avalanche professional, or those seeking employment in the avalanche industry. The Pro 1 is similar to the old AIARE Level 2, but allows more time for students to develop their standardized observational skills, recording methods, and operational decision making. The Pro 1 is 5 days in length and includes an examination at the end of the course to ensure student competency. The Professional Avalanche Training 2 course replaces the old AIARE Level 3. Pre-requisites for the Pro 2 include the AIARE level 1, AIARE Avalanche Rescue course, and Pro 1. 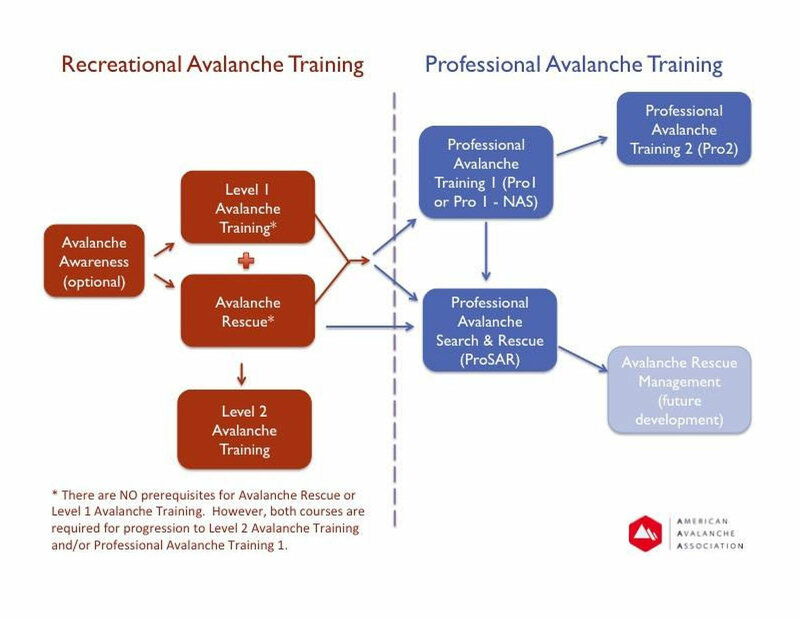 From the AAA: Professional Avalanche Training 2 (Pro 2) is designed for developing avalanche professionals with several seasons of applied professional experience. This course focuses on skills and proficiencies that enable the student to step into a leadership role within an operational avalanche program. The student will be taught proficiencies to develop operational risk management decision-making skills, including forecasting, risk mitigation strategies, and professional communication. For more information on professional level courses, please visit the AIARE Pro Course Schedule. Students must register for these courses directly through AIARE. Baker Mountain Guides offers our students the AIARE Level 1 Avalanche Course, AIARE Avalanche Rescue Course, and AIARE Level 2 Avalanche Course. 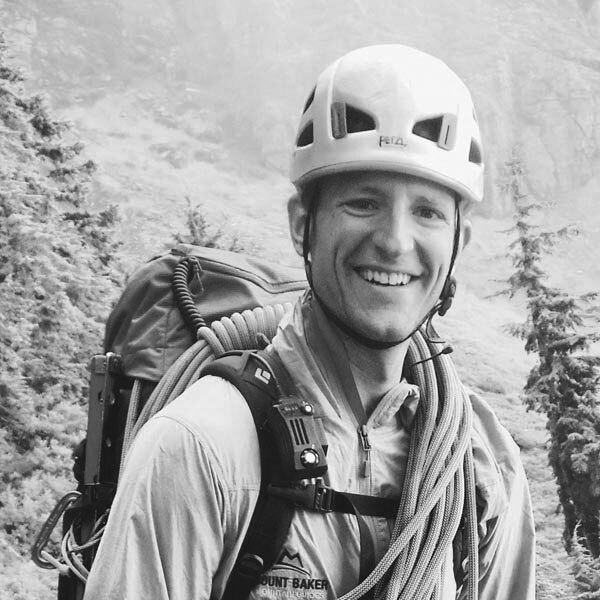 Baker Mountain Guides has customized the AIARE curriculum to provide practical field skills for the Pacific Northwest. Our instructors are passionate backcountry skiers and snowboarders who believe that avalanche education has the power to save lives. These values are reflected in the quality of our AIARE Avalanche Courses. Thanks for taking the time to learn about changes to avalanche education in the US. Allow us to help you continue your education this winter with one of our comprehensive and respected courses. For more information about our offerings, please get in touch. We're a family owned and operated company based in Bellingham, WA. We specialize in low-ratio, high-quality adventures and courses in this beautiful region and beyond. Want more information about our mountain adventures or courses. Speak with an expert guide today.